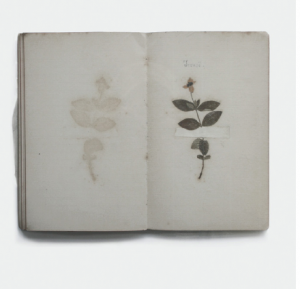 The Swedenborg Society presents REMNANTS, an exhibition throughout Swedenborg House, showcasing objects from the extraordinary Swedenborg archive. This event is organized in conjunction with the launch of the Swedenborg library online catalogue and is curated by Jan Evans, with the assistance of archivists Alex Murray and James Wilson. The unique archive contains a fascinating variety of material, illustrating the rich history of the Swedenborg Society (founded in 1810) and of ‘Swedenborgian’ culture in general: from rare and annotated books, to manuscripts, portraits, letters, lantern slides and curios. In the spirit of the evening, the Society will also host the launch of A HISTORY OF THE SWEDENBORG SOCIETY 1810 – 2010 by Richard Lines, (published by South Vale Press) a textual counterpart to this historical exhibition and a landmark publication in its own right. Jan Evans holds an MA in both the History of Art and Heritage Studies. In 2008 she curated the exhibition, Another Cabinet of Curiosity, for the Fringe Arts Festival in Bath, where a selection of contemporary curios were installed in a disused shop space. She has previously worked with several different museum collections, including Manchester Art Gallery, The Lowry, The Harris Museum and Art Gallery and most recently, Epping Forest District Museum. She can currently be found working at the National Maritime Museum. Previous Previous post: Ethical parking control? Next Next post: Healing presence – How to have this?